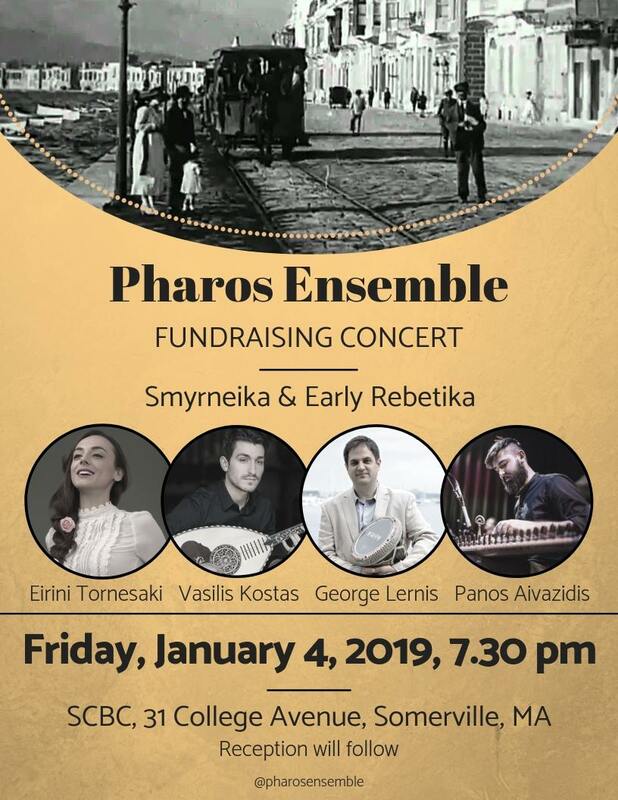 Join the Pharos Ensemble at a Greek Music Concert, presenting songs from Smyrneika & Early Rebetika Repertoire. This concert is a fundraiser for supporting the Pharos Ensemble to create their first recording, and to organize their first USA tour in the Fall 2019. Any other donations in the form of cash or check will also be accepted. Reception will follow with food and refreshments.